1. From the homescreen, click ‘Go to log’. 2. To add items to a section of the log, click on one of the orange plus buttons. 3. Enter a keyword into the search box, or add from suggested foods. Suggested foods are foods that you log frequently. For example, if you have log porridge for breakfast for a number of days, Libro will remember that you frequently have this food and suggest it the next time you log your breakfast, saving you time. 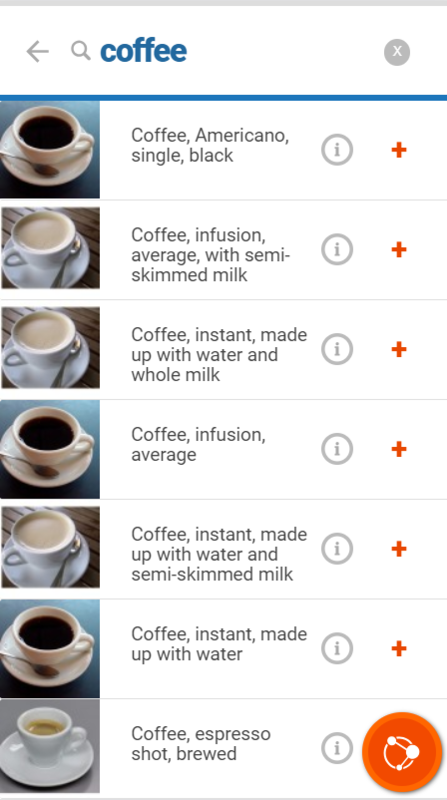 Searchable keywords include foods, recipes and exercise. 4. Click on the ‘i’ symbol to view more information about a food. 5. If you wish to add the food to your log, click on the ‘plus’ symbol . 6. Select from predetermined portion size by clicking on the portion. 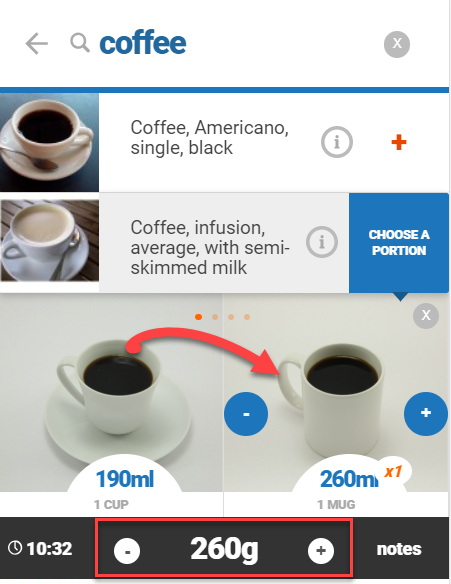 Click on the plus button on the portion photo to increase the quantity by one portion. Click the minus button to decrease the quantity by half a portion. Alternatively you can manually type a quantity in box below the suggested portions. 7. 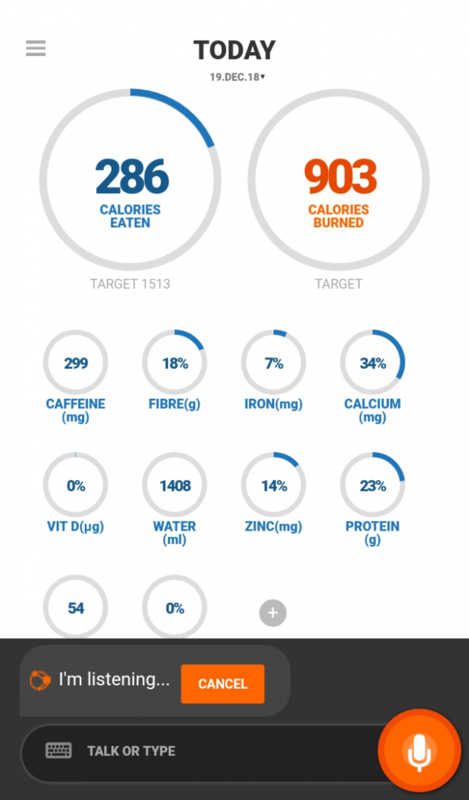 If you wish to increase or decrease the portion slightly, click on the plus and minus buttons either side of the portion quantity box to adjust the portion size by ± 10% of a portion. 8. Click on the time to change the time of consumption, or add notes by clicking on the notes button. 9. Click on the orange tick button to add the food to your log. You will see a confirmation message from Libro that the food has been added. 10. Once you are finished adding foods to your log, click on the back button next to the keyword search bar to return to your log. Click the back button again to return to the homescreen. 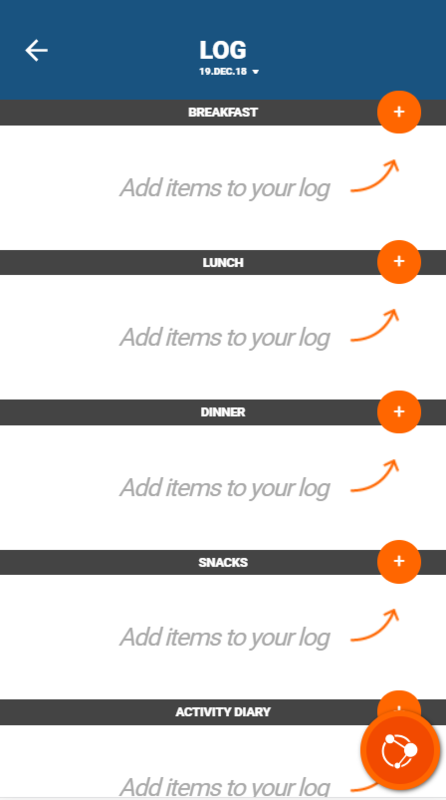 You can add foods to your log by voice. Click on the Libro icon in the bottom right corner of the screen. 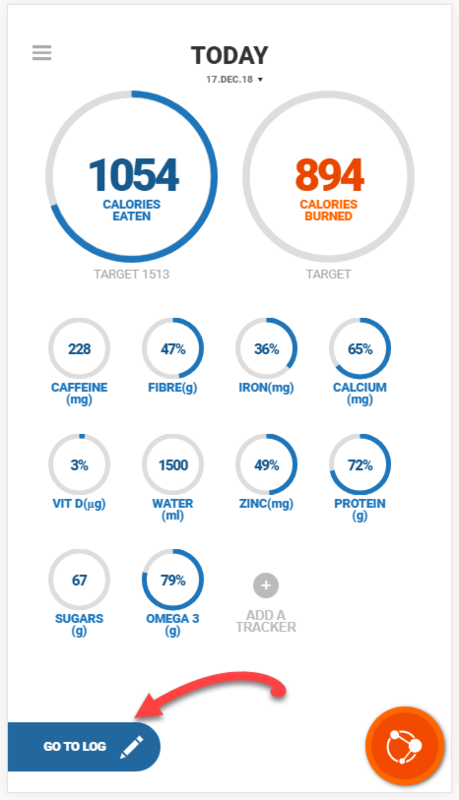 You can uses phrases such as ‘I ate an apple as a snack at 2:30pm’ or " I had cornflakes with semi-skimmed milk for breakfast" and Libro will automatically add those foods to your log for you. You will be brought to your log where you can adjust the portion size if needed. On the home screen, click on ‘Go to Log’.The the orange plus button beside the name of the meal you would like to log.Click on the barcode symbol Scan the barcode on the food label. 1. On the home screen, click on ‘Go to Log’. 2.The the orange plus button beside the name of the meal you would like to log. 3. Click on the barcode symbol to the right of the keyword search bar. 4. Scan the barcode on the food label. 5. After a food is adding from a barcode, your log will open automatically and you can review the portion size entered.